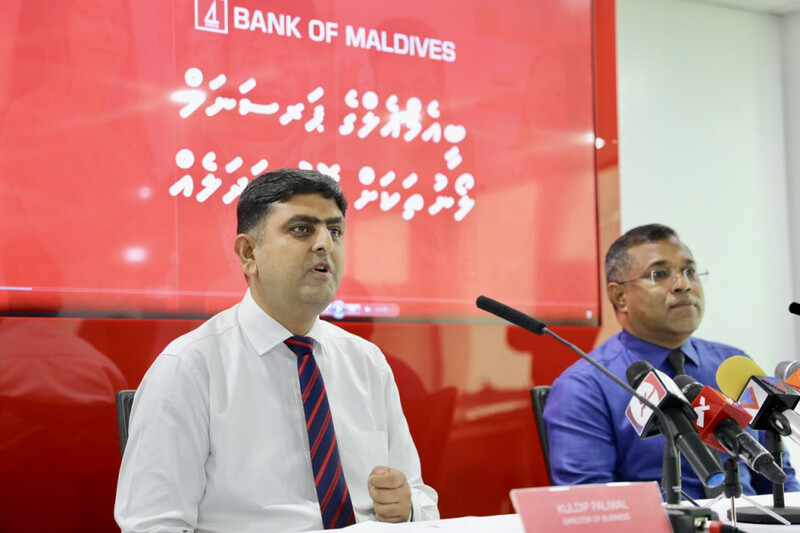 Maldives' main bank, Bank of Maldives (BML) on Sunday announced positive changes to its Personal Loans portfolio which its said was to meet the growing demand of customers for greater flexibility in borrowing. With the changes to the Lui Express loan, customers can now borrow up to MVR 300,000 and enjoy an extended repayment period of five years. Available for salaried customers who regularly deposit salaries to their accounts, the Lui Express loan does not require additional security or own contribution. The old Lui Loan with a maximum borrowing limit of MVR 15,000 has also been amended and introduced as the Lui Micro Loan. The new loan is ideal for non-salaried individuals who do not receive a fixed regular income. Customers can now borrow up to MVR 25,000 without any security and the repayment period has been extended to five years. The existing BML Lifestyle Loan has also been further enhanced for rent earning customers to borrow up to MVR 100,000 without any security with a repayment period of five years. Customers also have the option of borrowing up to MVR 1.5 million against their rental property. continuously enhancing its suite of products to meet customer expectations. "These positive changes in Personal Loan products will help our customers fulfill their growing requirement for personal finance. Customers can now borrow more and at the same time, reduce the repayment commitment with our extended payment period," Paliwal added. ATMs, point of sale merchants and agents across all 20 atolls, complemented by a full suite of digital banking services, Bank of Maldives has continued to reiterate its commitment to supporting individuals, businesses and communities across the country.